Buckingham Churches: Centenary Methodist | slate river ramblings . . . . When Thomas Baldwin’s Gazetteer of the United States (1854) counted nineteen churches in Buckingham County, Lebanon Methodist was likely one of them. 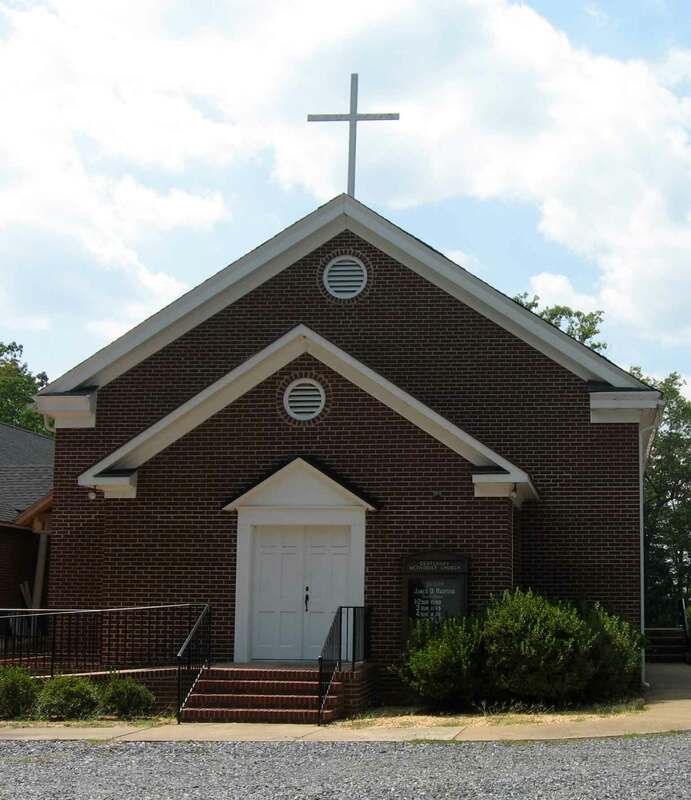 In 1853, surviving records for Methodist meeting houses in Buckingham County included Lebanon where my ancestor Martha Robertson (Bransford) Agee worshiped, along with some of her extended family. The Agee family land was located about thirteen miles north of Buckingham Courthouse near what is today Highway 20. A few years later, in 1857, Martha’s daughter, Mary Elizabeth, married her first cousin, Thomas Meredith Agee. The ceremony was performed in Buckingham by Rev. Joseph Spriggs, a Methodist minister. The next surviving Methodist Class lists are dated 1869-1870, and Lebanon is no longer included. Individuals earlier affiliated with Lebanon are now listed in the Centenary Class. The Church Roll names 92 members, including Thomas M. and (Mary) Elizabeth Agee and her son, the twenty-five-year-old John T. L. Woodson. His “life condition” was married and he was serving the church as a Steward. When did the transition from Lebanon to Centenary happen? Centenary was founded before 1863. The congregation originally met in a log cabin. Was it the one-time home of Lebanon? Today, Centenary United Methodist Church (built c. 1884) is located in the same locale on Highway 20. Detailed Map: Buckingham County Northwest Corner | slate river ramblings . . . .